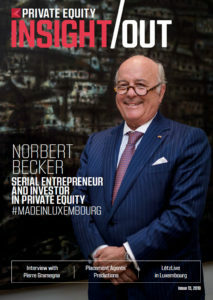 LPEA met with Norbert Becker, a successful investor and manager who, after an international career in the consultancy and advisory world, returned to Luxembourg in 2004 to launch his own ventures: Atoz, a high-end tax advisory and corporate finance firm and Compagnie de Banque Privée Quilvest, a bank fully dedicated to wealth management. 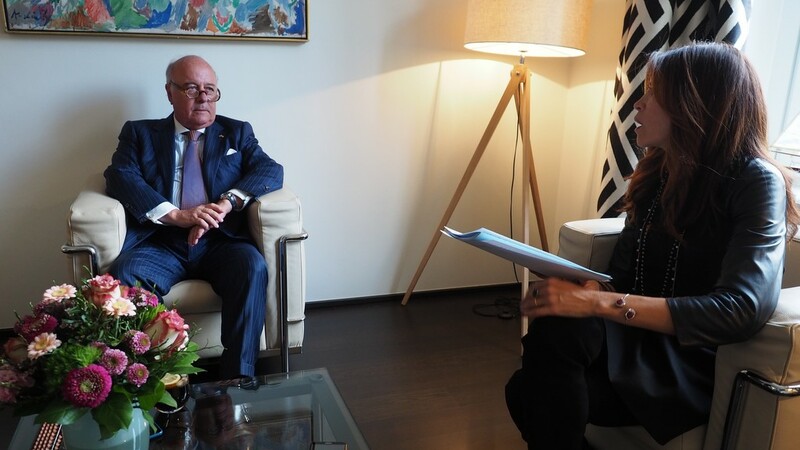 It is in his quality of founder as well as of bespoke representative of entrepreneurial families from all around the world that he spoke with LPEA about his professional achievements, the private equity sector and the country of Luxembourg. Interview conducted by Rajaa Mekouar-Schneider, President of LPEA. What are you most proud of (so far) in terms of professional achievements? That’s quite a difficult question because I have done a few things in my life (laughs)… I think I’m particularly proud of the few enterprises I have created in the past 15 years. One was really a startup at the beginning which became now an international tax advisory fund. We started with six people and we have 160 today. We are mainly focused on private equity and serve nine out of 10 of the largest private equity funds in the world. I am also very proud of the creation of a private bank. This was the first incorporation by private capital in a bank in Luxembourg since 100 years! All banks in Luxembourg are subsidiaries of international groups and this was a pure plain private equity initiative. Why does it make you so proud? Because for 100 years nobody had the courage to do it. I feel it was really entrepreneurship. Together with my partners we created the bank from scratch. We had no systems, no processes, no clients, nothing at all when we started. And then we raised capital to form the bank and it oversubscribed which was fantastic as an experience. When we started some people said we would last six months but we are still here. Why do you think it lasted so long? Because of the quality of the service that we provide, the lack of any mistakes, satisfied clients and customers. No issue anywhere on the road. We were there to last. “I always do things with trusted partners” you told me once. Is this a success factor? Yes, I never do anything alone. I always select, carefully, the partners with whom I want to do things. I strongly believe in partnerships, team work and together you are always stronger than alone. In all my ventures no partner has ever left. You have been a PE investor for many decades. How do you view the industry evolution, especially after the last financial crisis globally and in Luxembourg? I think that without private equity, the world economy couldn’t function. In Luxembourg, private equity is yet a hidden jewel despite employing in total over 6.000 people. I am close to certain funds and I see the value of transactions that are being handled or structured through Luxembourg and they are very large transactions. That’s why I said ‘hidden’ because unfortunately those funds do not communicate on this. I think it would be great if the LPEA could engage a conversation with the funds so that they reserve some space in their communication to mention the investments that are carried through Luxembourg. If we look at the crisis, it has triggered a little bit this movement for more communication and accountability? Accountability is set but communication no because the sector has grown to 6.000 people and nobody noticed that. It is true but this is at the scale of Luxembourg. What about globally? You have investments everywhere in Asia, Europe, US… how has it changed? It truly has changed in the past 15 years with all these funds becoming global powerhouses, highly specialized, highly dedicated, highly committed, and as an asset class it has performed better in certain time of period than public equity. The low interest is good and bad at the same time. The banks have lost 1/3 of their profit and loss statement which is an issue for many banks. On the other side, obviously, if you leverage a position with debt it is ok. But if you look at the map of this very large funds, if you look at what they do in terms of stimulus and thinking, in terms of innovation, in terms of research and development, in terms of contribution to education… they have really become a very important player in the economy. Initially private equity funds had a very low reputation. Some even called them ‘locusts’ because they would come, buy, fire half of the staff and then sell the business with a huge profit and leave the business in trembles. The truth is they restructure companies, make them better and more efficient, open new markets and push them to innovate. For what I see today, it is just unthinkable to believe that the world would function without private equity. It used to be a cottage industry, very secretive… at the same time unaware of its broader impact. For instance, the fund that invested in Skype made it come to Luxembourg. And Skype has been until twelve months ago a Luxembourg company. Largely unknown by people and for whatever reason there was not enough communication. By that time, our association didn’t exist. So I think it is really a homework to do. Norbert Becker started his career with the financial services regulator in Luxembourg in 1974 to soon after in 1979 establish the Andersen Audit, Tax and Consulting firm in Luxembourg, of which the consulting arm later became Accenture. In 1994, Mr. Becker was appointed a member of the European Operating Committee of Andersen and served as the Regional Managing Partner for Central Asia, Eastern Europe, India and the Middle East. In 1998, he was appointed Global Managing Partner of Administration and Infrastructure of the Global Firm and moved to New York and London. In 2002, Mr. Becker managed the merger of over 50 non-US Andersen member firms into Ernst & Young where he served as the Global CFO of EY. In 2004, Mr. Becker returned to Luxembourg and started various business ventures including Atoz and Compagnie de Banque Privée Quilvest. 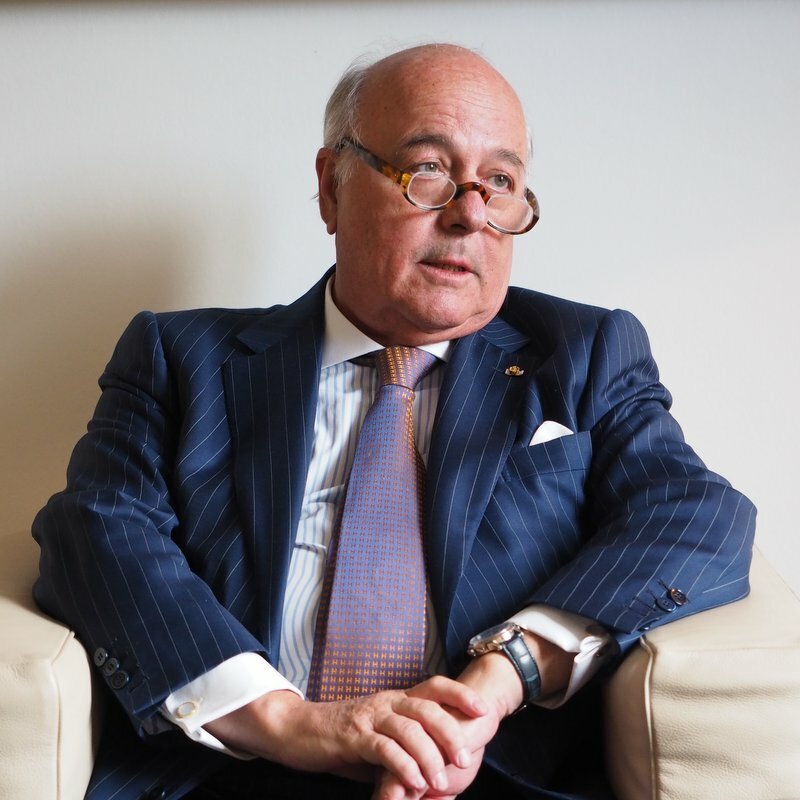 Currently Norbert Becker serves on the boards of several international corporations and is the Chairman of Lombard International with over €40 of assets under administration. What is the view of Luxembourg as an investment hub in the different regions? What do people ask or tell you? What I perceive is that everywhere I go, for those who have experience in Luxembourg, they find it extraordinarily efficient. What is unique is that all these service entities, being it audit firms, law firms, custodian banks, every client can speak in their own language to their service provider. Go to London, that is not easily true or anywhere else. How different is the ecosystem here from London for instance? I was an investor in London, New York… I came back as an investor here because I think that investing in Europe you’re better off with a base in the continent than in London. There are US investors who considered the entry point to investments being in London but I think it changes with Brexit – depending where it goes. I have seen so many projects that did not deliver as expected because the entry point just wasn’t the right one. It’s very hard to do investments in southern Europe if you don’t speak the languages or you don’t understand the culture. For this reason I think the typical American-London firm will come directly in the continent and the only place they can get full satisfaction is Luxembourg. What about the ones that haven’t experienced it? There it is our job to make sure that they know it and understand it, that we can showcase real cases. That’s why my point on transparency. And you know there is this French saying: “savoir faire, et faire savoir” – that is really what we need to do. You recently joined LPEA as a new member to support the new initiative dedicated to family investors and investment offices. How do you see the role of the association for this specific type of investors? Well, I think family offices landing in this environment and this system find their way somehow. I see the association as the house under the roof of which people can meet and exchange. Where we can talk about our good and less good experiences. And then maybe we can build relationships and find co-investment opportunities. This is a very small circle of families that talk to each other and even so it can take years for the family heads to meet. The LPEA may be of good help to bring people closer. Still family offices prefer to stay under the radar. Yes, the credo of family offices is confidentiality and discretion. They certainly don’t want any publicity around a co-investment or wouldn’t want to be published unless there are specific circumstances. The association, working with family offices must be mindful of confidentiality which, by the way, fits well with the culture of the country. How would you like to see the Luxembourg private equity hub in the coming 2-3 years? Luxembourg has declared itself as a start-up nation which typically is in the value chain of private equity. My dream is that Luxembourg sets forth the conditions for this ambition to be achieved. I think Luxembourg needs to continue to present itself as creative place to do business. We have to apply our tax laws in the sense of the law and make sure that there is a dialogue in place between the business and the administration. Sometimes in private equity you do very complicated transactions that must respect the underlying asset’s point of view. There can be a lot of intellectual property and/or technology which you have to structure in a proper way. Sometimes you need interpretation of laws that were written 15 years ago and do not necessary apply to what we do today. We need to move towards more dialogue with the administration. There is a public intention of Luxembourg to become a hub for FinTech and ICT sectors. Do you see any live examples becoming real? Well, the largest FinTech in the world is based in Luxembourg and its name is Paypal. I happen to know it very well. There is a clear intention of the government to move to a broader recognition of Luxembourg in the IT space. The prime minister himself took that responsibility and he considers it a big commitment for his government. To be successful a market place has to match talent with money. Is Luxembourg doing it the right way? In March LPEA will host its flagship Insights 2019 conference in which you will be one of the keynote speakers. Why should someone from abroad take this opportunity to discover Luxembourg? I think Luxembourg has so much to present and deliver but remains under rated despite a very innovative ecosystem. Because of its size and of the proximity with the government agencies, we can get decisions really fast. This includes adapting legislation – always in accordance with the European and other international rules. Over the past 20 or 30 years the country proved to be extremely well positioned to build new segments in the industry. The funds industry in Luxembourg is the second largest and private equity is clearly a significant sector in the financial industry – and I can only anticipate that sector to be doubling in size in a few years. Then again, the financial services industry in Luxembourg represents 1/3 of the GDP, which not only shows how important it is but also that one can find a full ecosystem. Everybody is here and things can be moved very fast. How is it to live again in Luxembourg? It’s great! Security, safety, schools, everything is working perfectly well. And so my experience is that all those people that came in Luxembourg are really happy living here and become Luxembourgers by heart.